Every week we’re asking our summer interns to share some thoughts and responses to various experiences and readings. 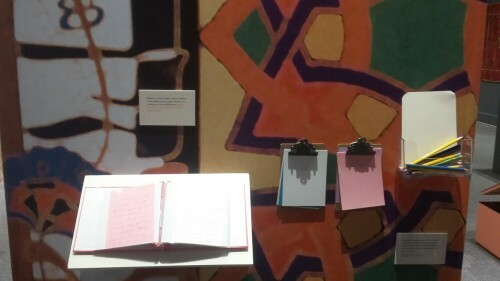 This week we asked them to read one of two chapters from John Falk’s Identiy and the Museum Visitor Experience and write a short response piece! To read more posts from JMM interns, past and present, click here. While visiting the Louisiana Museum of Art, I mainly was an explorer, walking through the museum at my own pace and looking at art I found particularly interesting. 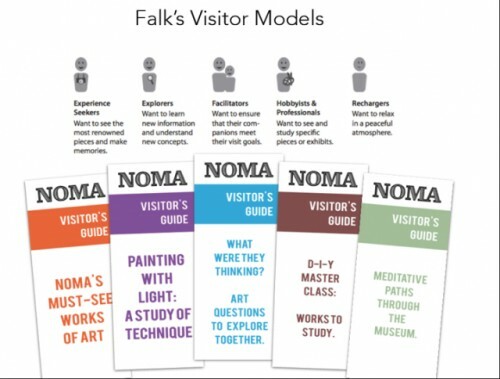 John H. Falk’s Identity and the Museum Visitor Experience’s 7th chapter explores types of museum visitors and how their identities affect their museum experience. There are five main identities related to motivation. They are: Explorer, Facilitator, Experience seeker, Professional/Hobbyist, and Recharger. Reflecting back on the reading and my own museum experiences, I have found that these identities are usually inter-changeable and dependent on the context of one’s visit. I usually fall into the category of explorer, or someone who goes to a museum open to wandering and looking through the exhibit in their own way at their own pace. Every museum I visit, whether it is one I have been to before or not, I inhabit that character. 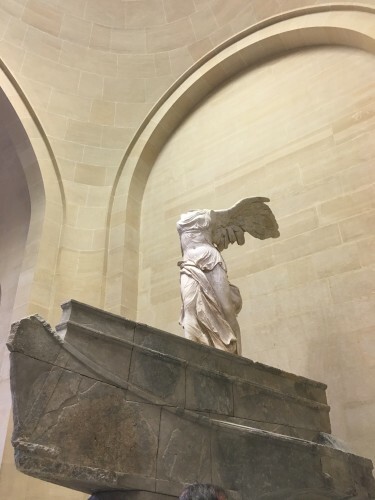 While at the Louvre, I was an experience-seeker who sought out famous art, such as the Nike of Samothrace. However, while I studied abroad, museums were one of the go-to places to visit in each city. Due to time constraints and the likelihood that I would not be visiting again very soon, I fell into the Experience-seeker identity. I sought out the “best” or most well-known parts of museums to not only see them but to check them off my bucket list. In particular, my visit to the Louvre was motivated by this identity. Although I could spend days looking through the Louvre, my friend and I could only spend a certain amount of time in the massive museum so we headed towards some of the “greats” including the Venus de Milo, the Mona Lisa, and my favorite, the Nike of Samothrace. Sometimes I also inhabit the facilitator category when I bring my friends with me to museums more so that they could learn more about my favorite subject rather than for me. Ultimately, I found these motivational identities to dependent on multiple factors. This chapter introduces us to the five types of museum visitors: explorers, facilitators, experience seekers, professionals, and rechargers. These categories are useful both in the way they are intended to be used, as metrics for museum staff to better understand their patrons, but are also a great tool for museum goers to better plan to meet their own needs. For example, if someone realizes that they primarily go to museums to recharge, it would beneficial for them to inquire by phone which hours the museum is free of school groups or has the lowest attendance. This will help them pinpoint the time where they can best enjoy the museum the way they would like to without being interrupted. Infographic detailing the five types of visitors. From The Incluseum blog. For myself, I am generally a member of the most common category, the explorers. In the future, if I want to maximize my personal enjoyment of a museum it would be smart if I did some planning before I went. As an explorer, I am most going to enjoy seeing exhibits on a topic of which I already have prior knowledge. Before I attend a museum it would be smart if I checked the existing exhibitions online before I visited. I will likely figure out what exhibitions I am most interested in seeing and be able to make a plan about how to do that. I can also choose to do research about an exhibition topic that I am unfamiliar with, which would make that particular exhibit more interesting for me. I would be much more likely to walk through the exhibit if I knew something about its contents than if I went to the museum with no knowledge of the topic. By doing a little extra work beforehand, my museum trip can be more fruitful. Not only is it important that museum staff consider visitor’s motives it is also empowering if visitor’s can pinpoint for themselves what kind of visitor they will be and take steps to ease their own museum experience. The current exhibitions page on the JMM website. Are you an explorer like me? This might help you plan your visit to the museum! I really enjoyed learning about the different types of visitors that come to museums. The article explains there are five types: explorer, facilitator, experience seeker, professional/hobbyist, and recharger. As the chapter outlined the various visitors, I grew a deeper appreciation and understanding of the wide audience of this museum. Here a camper and counselor tackle the scavenger hunt together. The counselor served as a facilitator, ensuring the camper got the most out of the exhibit and the task. In my job in the education department, I have to work to create activities for all kinds of visitors. The scavenger hunt for Just Married, Sara and I created, had to consider how each student was going to approach the exhibit. Now seeing several classes use the scavenger hunt, I see how some students have different ideas of a museum and how to approach a challenge. Some students were such explorers; they chose not even to complete the scavenger hunt but to play with the meeples. It was neat to connect the reading to my firsthand experience as an education intern. While the meeple activity was not on the scavenger hunt, campers migrated over to this section because of their curiosity. What Type of Museum Visitor are you? Museums are places of learning, new experiences, and discovery. We have different reasons for visiting and all experience museums differently. In his book Identity and the Museum Visitor Experience, John Falk describes five different types of museum visitor. Take this quiz to determine which type of visitor you are. 1. Why do you go to museums? A — To see everything I can and learn as much as possible. B — To share experience/knowledge with family or friends. C — To see famous works of art and objects or to seek out new experiences. D — To gain knowledge and further my preexisting knowledge of the subject. E — To relax after a long work week. 2. How to you go through a museum? A — Look for things that interest me and gravitate towards those things. B — Find things I can share with my family or friends that would interest them. C — Try to see everything I can, scanning galleries and labels for important information. D — To accomplish preset goals. E — Sit down and spend my time experiencing the galleries and objects. 3. How do you react to a crowded museum? A — Ignore the crowds and continue to explore. B — Make sure everyone in my group stays together. C — Join in on the fun! I want to be where the crowds are. D — Come back another time when it is less crowded. E — Retreat to the gift shop or cafe. 4. How do you feel after you leave the museum? A — I have learned something new. B — My family or friends learned something new and had a shared experience. C — I have experienced something unique and want to pursue more experiences. D — I want to keep learning about the subject — through books, lectures, etc. E — Relaxed and ready to take on the week. Which letter did you have more of? A — Explore: You have no set goals when entering a museum. You want to explore and discover things that interest you. Falk makes the analogy between explores and shoppers who love to browse without a specific item in mind. You read labels and take your time in exhibits. B — Facilitator: You are a parent, friend, school teacher etc. facilitating the museum going experience of others. You act as a sort of tour guide through the museum. C — Experience seeker: You visit museums in search of new and exciting experiences, often choosing to focus your time and energy on the museum’s highlights rather than looking at everything. You like taking photos in museums and enjoy interactive exhibits. D — Professional/Hobbyist: You know about the subject matter in the museum. You are focused on learning more about it or finding answers to your questions. You tend to have an idea of what you want to see before you enter the museum and know how best to get there. E — Recharger: You seek out museums as a relaxing leisure activity. 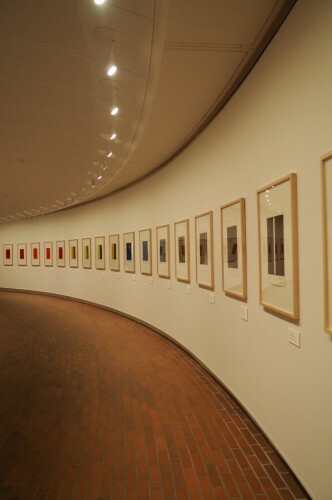 You pay attention to the design of the gallery spaces. You often will sit down and take your time in galleries. You may not always read all the labels but will spend a lot of time looking at the object on display. After visiting the galleries or as a break you may peruse the gift shop or grab a bite to eat at the museum’s cafe. Campers completing the scavenger hunt. Chapter 10 of Identity and the Museum Visitor Experience, “Making Museums Work for Visitors” describes five different kinds of museum visitors – explorers, experience seekers, facilitators, rechargers, and professionals/hobbyists. Reading this article has made me reflect on the specific needs of the people I observe visiting the JMM and to compare it to the work the museum does to attempt to meet the varying needs of all these types of visitors. 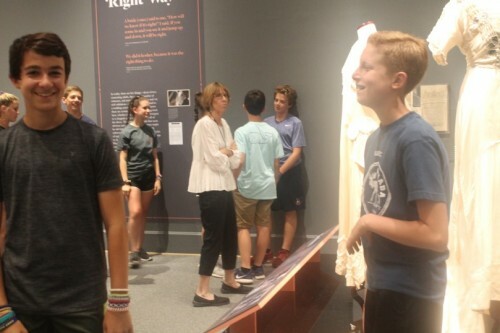 Yesterday, several groups of middle/high school-aged students visited the museum and participated in the scavenger hunt Erin and I created for the Just Married! exhibit. However, two of the groups did not have the time to use the scavenger hunt, instead touring the exhibit freely, which provided me with an opportunity to think about how the work a museum does to shape the visitor’s experience can have a big impact on the level of information the visitor absorbs. Campers exploring the exhibit without the aid of a scavenger hunt. 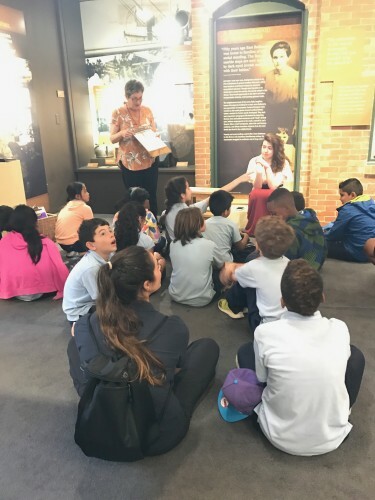 While the scavenger hunt helped generate enthusiasm in regards to the exhibit and made the campers responsible for learning and reporting on new information, without the scavenger hunt, it was easy for them to miss important, interesting information. I saw how, in this way, the scavenger hunt served as a facilitator parent of sorts, guiding the students in the effort to provide them with the best experience possible. The campers, on the other hand, were experience seekers, interested in enjoying the exhibit and seeing its highlights. 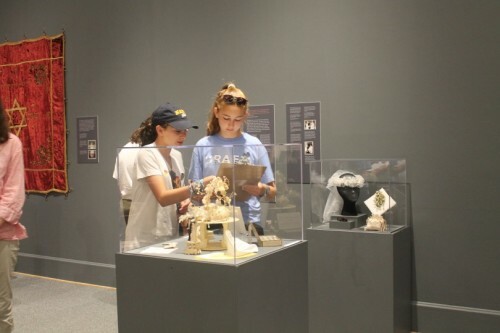 Because experience seekers are not detail-oriented and prone to reading every label, the scavenger hunt offered them the opportunity to be guided to some of the most fun and compelling aspects of the exhibit. I credit my public education in Montgomery County, MD and its proximity to the array of museums on the National Mall as the reason for my interest in museums. Every summer I, or my family always take a trip to the National Mall to visit museums, sometimes ones that we’ve gone to many times before. 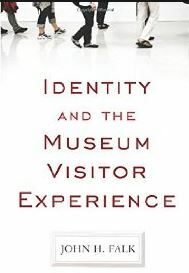 This week I was assigned to read “Making Museums Work for Visitors,” in Identity and the Museum Visitor Experience. This chapter is all about why people go to Museums, what characteristics of exhibits and museum buildings make it easier for people to come, and what they get out of their visits. What really resonated with me are the reasons the article cited as to why people choose to come back to museums and exhibits which they have already seen. The answer the article gave is personal context. This personal context rings true for me. As stated in the beginning of this post, I always go to the National Mall every summer to visit museums I have seen at least 10 times before. Why? Because of personal context. 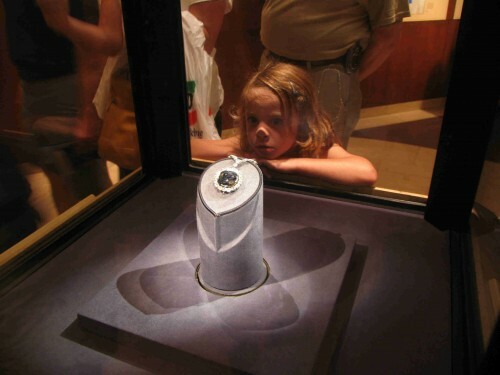 I was just like this small child, staring in wonder at the Hope Diamond while on a field trip at the Smithsonian Museum of Natural History. There are two exhibits in particular that I will probably never get tired of going to. They are the Hope Diamond Exhibit in the Smithsonian Museum of Natural History, and the Peacock Room in the Freer Gallery of Japanese Art. For some reason, I always go straight to those exhibits when I enter those Museums. Sometimes if I’m in the city not on a “museum crawl”, I’ll peek in to get a look at the Peacock Room at the Freer because its right next to a metro station. Why do I love these exhibits when there are better exhibits to see? Personal context is the answer! I remember when I was in elementary school that we had a whole unit on gems. So naturally, my class took a trip to the Museum of Natural History. As we entered the gem exhibit, the first item I saw was an elegant blue gem in a diamond necklace. It was in a special glass case in its own separate room. People crowded around it just to get a glimpse of it. I pushed my way through and saw this beauty with my own eyes. It was the Hope Diamond, the most famous gem in the world. I was amazed at its beauty and history, so much so I bought a mock one from the gift shop that day. Now, because of that initial visit, I always go see the Hope Diamond whenever I go to the Natural History Museum. The combination of blue-greens and gold made the Peacock Room stand out for me. Normally I’m used to seeing art on a canvas, not in a whole room. I still go straight to this room when at the Freer Gallery of Art. The second place, the Peacock Room is located in the Freer Gallery of Art. When I was little, my family was on a museum crawl. ALL of the Museums were packed, except for the Freer, which just acquired a new exhibit, a room from a house that featured elegant Asian art. We wanted to see this new exhibit and headed on over. 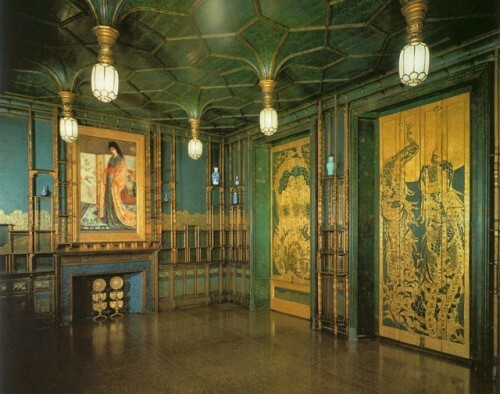 It is called the Peacock Room, a masterpiece by American artist James McNeil Whistler. Its green and gold designs amazed me by its attention to detail. And this is coming from someone that doesn’t really know much about art history. Like the Hope Diamond, it stuck in my head, which is why I always go see it. So in a sense, the museum visitor experience is important especially to young children, something as small as a blue gem or large as a painted room can leave someone amazed and keep them coming back. Personal experience is key! Every week we’re asking our summer interns to share some thoughts and responses to various experiences and readings. This week we asked them to choose one of three articles from the Center for the Future of Museums Trendswatch 2017! To read more posts from JMM interns, past and present, click here. “Reshaping the World: Migration, Refugees, and Forced Displacement,” is an article out of Trendswatch, a publication of the Center for the Future of Museums, about how museums can more effectively support and include migrants. The piece stresses that migration is at an all-time global high since directly after WWII, and concurrently anti-immigrant sentiment is also reaching a zenith. The Jewish Museum has a particular imperative to work to support the cause of migrant groups. In this social climate where anti-immigrant sentiment is high and people are convinced that the different traditions and ideas immigrants bring will erode the strength of the US, the Jewish Museum provides examples of an immigrant community which has both maintained its own culture and participation in and strengthened the existing community. 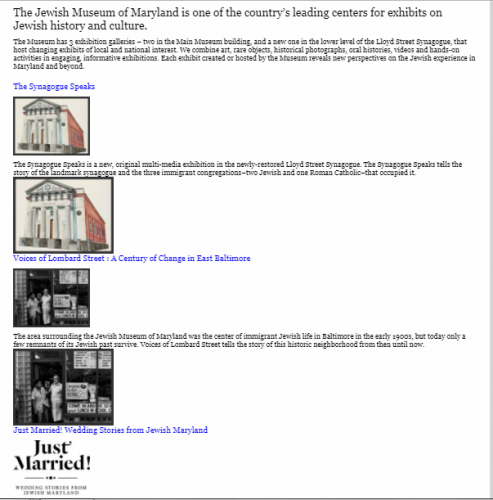 The Jewish Museum aims to collect and share the stories of Jewish Maryland. 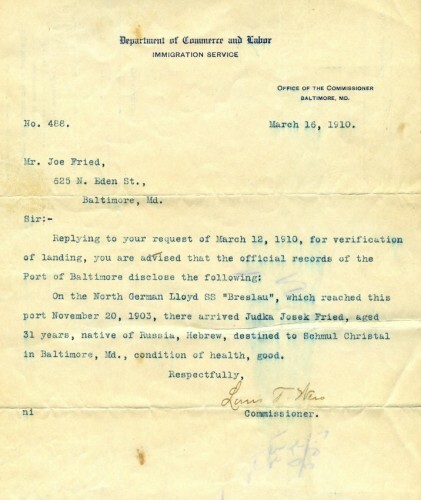 The story of the Maryland Jewish population is one of migration, assimilation, and preservation of culture. 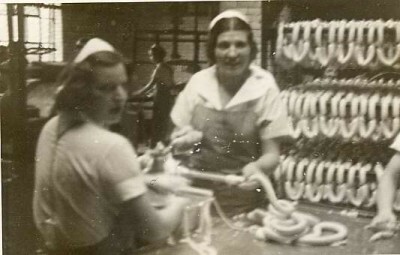 The museum is based on the idea that these histories that are particularly Jewish should be saved and celebrated. 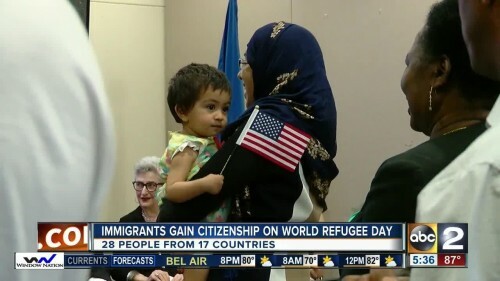 News coverage of the Jewish Museum’s Naturalization Ceremony. Image from ABC2 News. I had the opportunity to attend the Naturalization ceremony that the Jewish Museum held on national refugee day. It was a great way for the museum to support and connect to the immigrant communities in the Baltimore area. Not only is the ceremony in clear support of immigrants it also introduces the individuals that participated to the Jewish museum as a resource. I wish that the article gave examples of what else smaller museums or museums with a very specific focus, like the Jewish Museum, can do to support migrant groups. The examples give in the article, which included designing exhibitions around global migration and providing direct programing and support services to migrants are not attainable with Jewish Museum’s infrastructure. 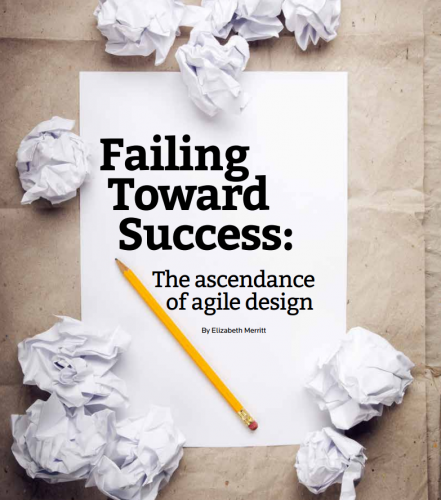 While reading “Failing Toward Success: the ascendance of agile design,” there were a few points that truly resonated with me. 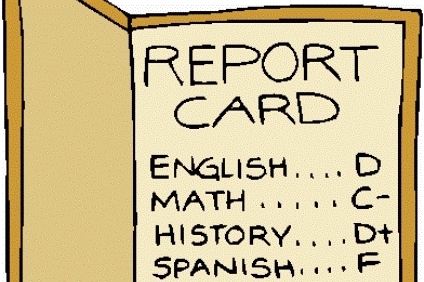 First, the article states in the future a “report card may be sprinkled with Fs that laud little failures.” Today pressure engulfs students to maintain a perfect GPA: even a report card sprinkled with Cs is a failure. But if this article is right, grades and test scores will just be building blocks instead of death sentences. In addition, this article argues that minor mistakes can reap huge rewards. For instance even in a small risk there is still much to learn. Both these insights are important to me as a student and an intern. student’s hard work and not hold such a negative connotation. On one hand, this article motivated me to push myself to make mistakes and try new things. However, I still wonder how perfectionism and failure will change in the museum world. First, with historic museums and exhibits about the past, shouldn’t several years of preparation be allowed? Can museums afford to lose an audience by taking risks that alter the fabric of the institution? Will these small changes really have a domino effect to elicit huge change in museums? This trend is an interesting and poignant shift and it’s ok that these questions do not have answers. A Mile In My Shoes describes the growing lack of empathy in the United States and suggests that museums can and should have a role to play in making sure their work actively attempts to increase visitors’ empathy. I often notice evidence of the trend of the empathy deficit as groups of people become more segregated and closed off from people of different opinions, backgrounds, etc. While I think technology has the potential to foment rather than decrease empathy in its users, I also believe that social media often serves to further segregate people, creating “homogenous bubbles,” as the article describes. However, when technology is used in spaces like museum that are specifically motivated to create connection. 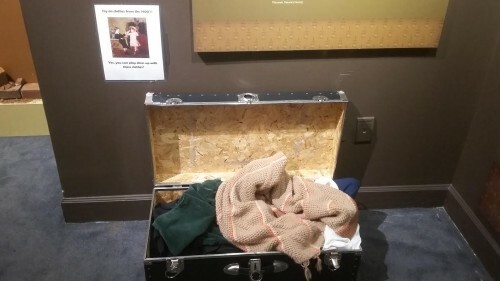 A suitcase full of clothes in the Voices of Lombard Street exhibit that allows children to become the people they learn about in the exhibit through literally putting on different clothing. The article discusses the success many museums have in employing the human capacity to empathize. 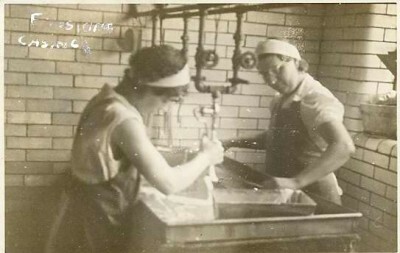 For example, the Lower East Side Tenement Museum in New York City found that empathy, more than anything else, was what allowed people to connect to the exhibits they viewed. In my time at the Jewish Museum thus far, empathy has also loomed large. 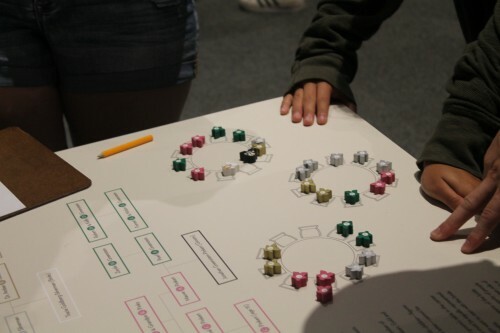 Though it is not necessarily specifically mentioned, much of the work that goes into designing educational supplements to the exhibits revolves around finding the best ways for visitors to viscerally connect with what they view in the exhibits. One of the main focuses I have noted in creating a successful tour or educational resource is an appeal to empathy. 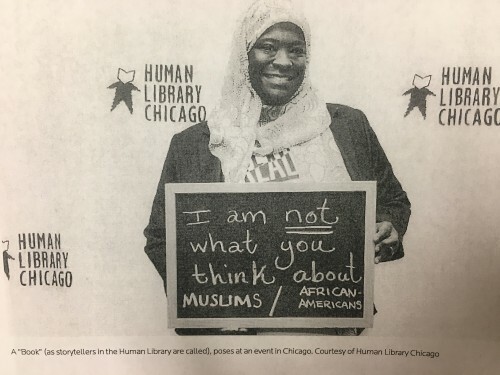 What matters most is not that the visitor share a similar ethnic or religious background to those they are learning about in an exhibit, but rather that they are shown how such a background does not and should not have to pose any barrier to empathy and compassion. Both of the JMM’s exhibits currently on display do a good job of appealing to such sensibilities by making the voices and words of its protagonists central to the visitors’ experience. A station in the Just Married! 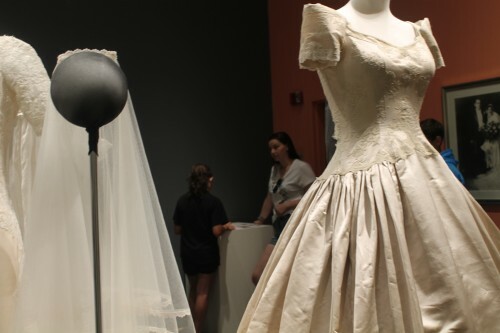 exhibit that encourages visitors to share their own wedding stories, thus demonstrating their personal connections to the characters showcased in the exhibit. This week, we interns were asked to read articles from the Center for the Future of Museums Trendswatch 2017. I chose an article entitled “A Mile in my Shoes: Closing the Empathy deficit.” This article is about how more and more people are becoming less empathetic to other people and their experiences, and how museums are places where people can gain empathy for other groups. 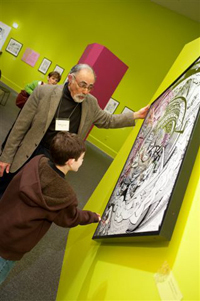 Such is the mission of the Jewish Museum of Maryland, where we help people to understand Jewish life and understand where we come from. For me, this article really struck a personal note for me. As some of you know, I am not Jewish by birth, but a Jew by choice. I began my conversion to Reform Judaism last year and while I was going through the earlier parts of this process, one thought in particular came to my head many times: How does a non-Jew understand and gain empathy for certain aspects of Jewish life, such as the Holocaust. I had no family members involved in that terrible event so I can’t understand a personal connection like so many Jews do. In comes the Holocaust Museum in DC. 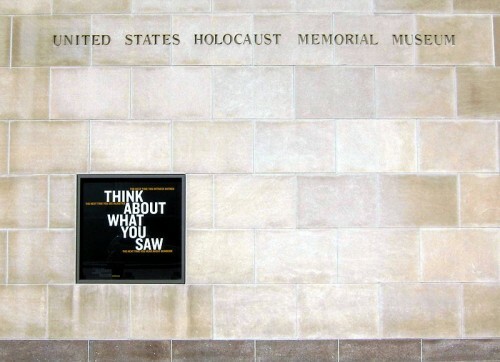 Part of a class back in College was a Saturday trip to the US Holocaust Memorial Museum in DC. It was my first visit to the famous Museum. By that time I had already decided I would become Jewish so this visit only seemed logical. I did not expect the powerful visit I had. Throughout my visit I learned about topics and events and people I never knew. I saw things that made me think. The most impactful moment of that day was when I walked into a room and before me was a clay model of Jews being marched into the gas chambers. My mind could not take any more of that and I went to the corner of the room and began whipping tears away. That simple clay model struck a chord with me. I could see expressions of sorrow, of fear, of death in those clay figurines. I finally began to understand the scope and pain that happened so long ago. I won’t say that I now know what it feels to be personally affected by the Holocaust like many Jews do, but that visit struck a chord. It allowed me to get empathy for an event I normally would not have had. In this case, The Trendswatch article was right; Museums are a place to gain empathy, sometimes in the form of sorrow, sometimes in the form of appreciation, such as at places like the Museum of the American Indian. I still have much to learn about the Holocaust and much more empathy and understanding about that sensitive topic. Perhaps I’ll gain more empathy in a future trip to Yad Vashem. A view of one of JMM’s exhibits that relates to the local community featuring a school group. This week I read an article named A Mile in My Shoes: Closing the Empathy Deficit which spoke about empathy or more, the lack thereof in America’s current culture and how museums can be a way to introduce or foster empathy. I found this article as a way to reexamine the purpose of museums. Often when one thinks about a museum they think about the art, the artifacts, the history. Yet one usually forgets that these exhibits that showcase these artifacts and art are creating a dialogue between the visitor and the context. This dialogue is important to help develop connections; whether they are between the past and present, different communities, or different ways of life. 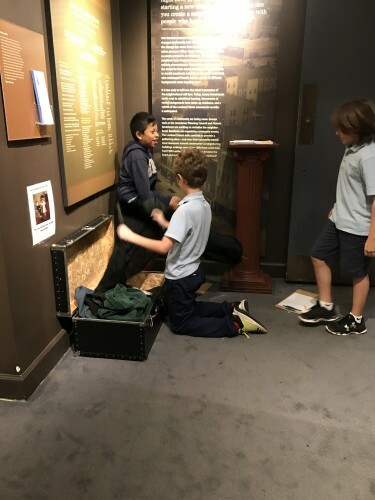 A picture featured in the article A Mile in My Shoes: Closing the Empathy Deficit showing a museum exhibit that focuses on creating and encouraging empathy. 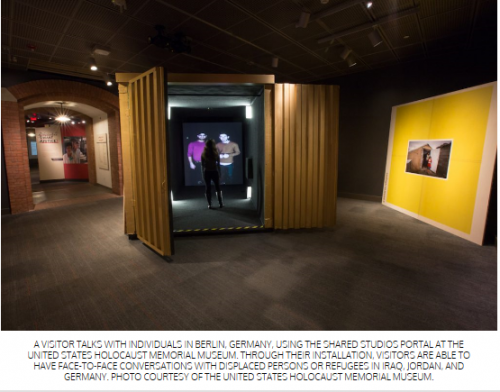 Museums such as the Jewish Museum of Maryland help to bridge cultural gaps, helping viewers to relate to Jewish experiences even when they are not Jewish. However, I think one of the major challenges museums face in bridging the gap on empathy, particularly in regards to different social classes, races, religions, etc., is getting visitors from different backgrounds to visit. It is important to have collections and museums that showcase different minorities or groups that are often sidelined in larger museums. However, how much do these museums increase empathy or understanding when only people belonging to that sect visit? Or more specifically, how can the JMM build trust and empathy when only those of a Jewish background (and thus those who already having an appreciation or understanding of the Jewish culture and religion) visit? I think this is one of the many challenges museum today face when trying to create exhibits and spaces for understanding and cross-cultural experiences. The assertion that “museums’ inherent strengths position them to be effective ‘empathy engines’” is a compelling one. However, the article “A Mile in My Shoes: Closing the Empathy Deficit,” from the Center for the Future of Museum’s 2017 Trendswatch, never fully explains how these “empathy engines” run. The strength of the article is the amount of data on the increasing loss of empathy in society. It presents a persuasive argument for a change in education, the justice system, health care, and range of practices. Despite this research, the article fails to explain where museums fit into this picture. School group walking in the shoes of Lombard Street residents. Museums have the benefit of being at the cross section of many of the issues the article discusses. Art museums like Crystal Bridges have wide ranging collections, many objects dealing with identity, social justice, or even simply offering a historical perspective. History museums, which deal in narrative, similarly engage the visitor in a dialog.